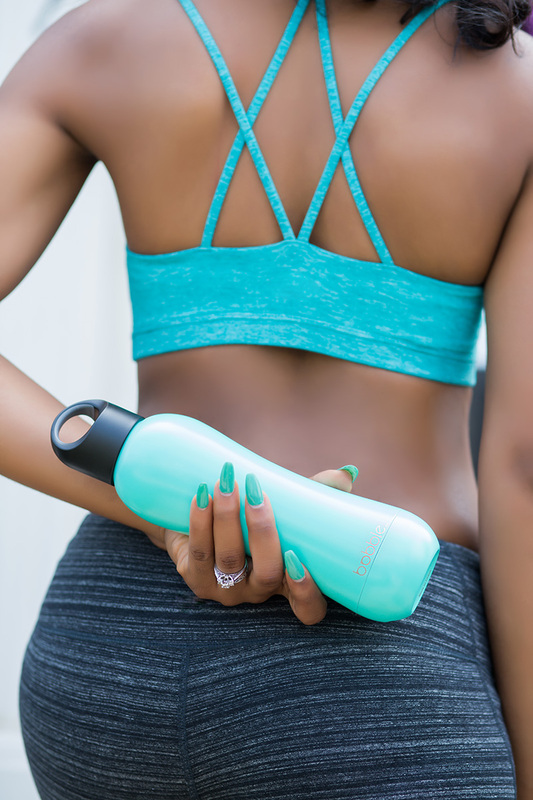 When I am asked how I maintain a healthy skin, I am quick to emphasize the importance of drinking lots of water and staying hydrated as this has helped me maintain my skin appearance. I shy away from soda, coffee or drinks with high sugar content and while this might seem difficult, it helps with skin health. 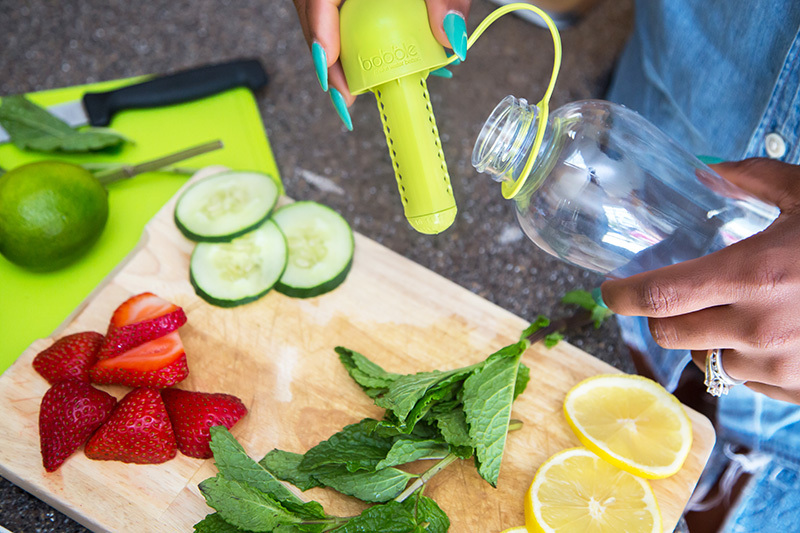 A great way to make drinking water more enjoyable for you is by infusing it with your favorite fruits and herbs using bobble infuse. 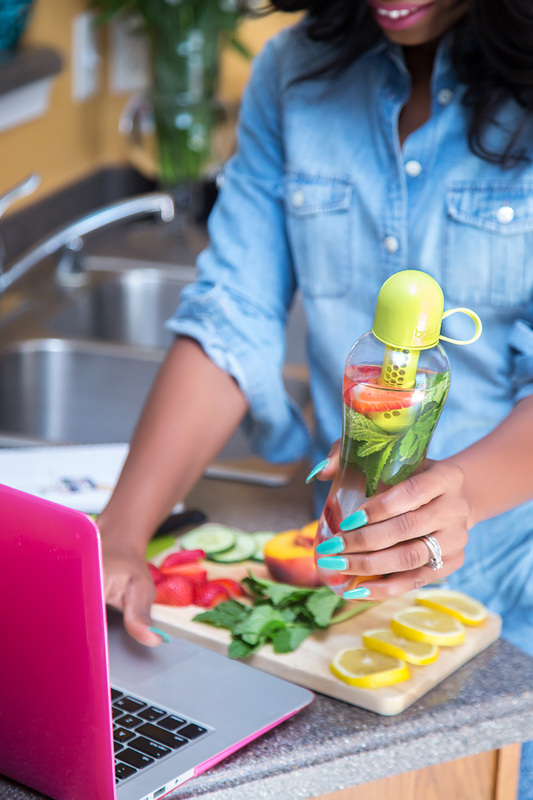 Once I discovered Bobble Infuse water bottle, I now mix different fruits and herbs with different flavors which in turn makes drinking water refreshing and helps me with my goal of a gallon per day. 1. 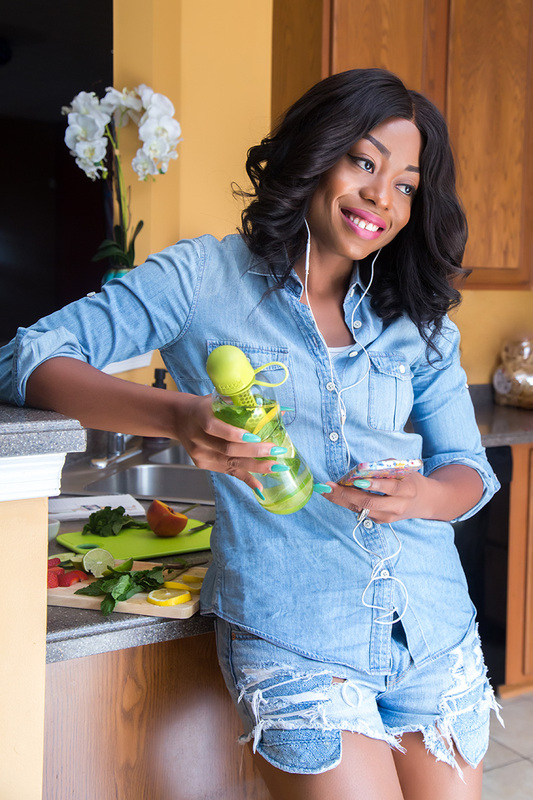 I use Bobble infuse bottle to infuse my drinking water with different flavors. My current mixes include strawberries and mint, lemon, lime and mint, and cucumber, orange with strawberries. I also mix water and lemon sometimes. 2. 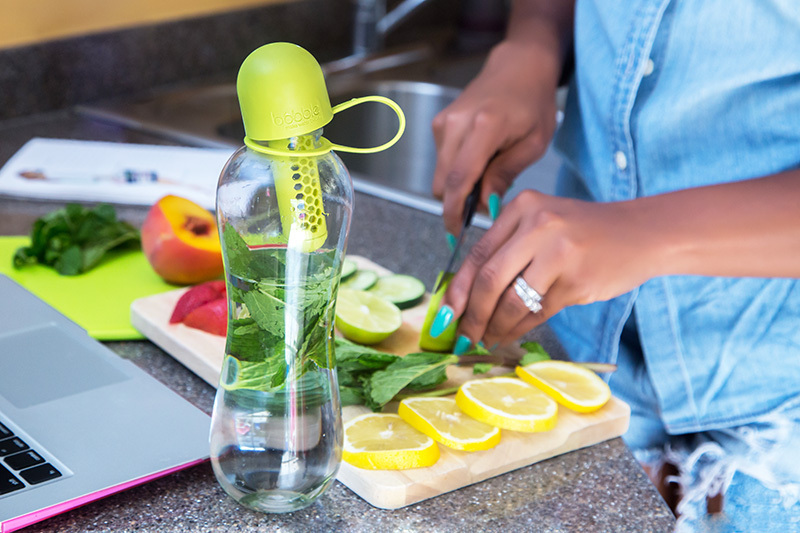 I like beverages that taste good as such, I flavor my water using bobble infuse. 3. I use MyFitnessPal app to help me track the amount of water I consume on a daily basis. 4. I keep a bottle of water with me all the time. I either use the bobble infuse or insulate. 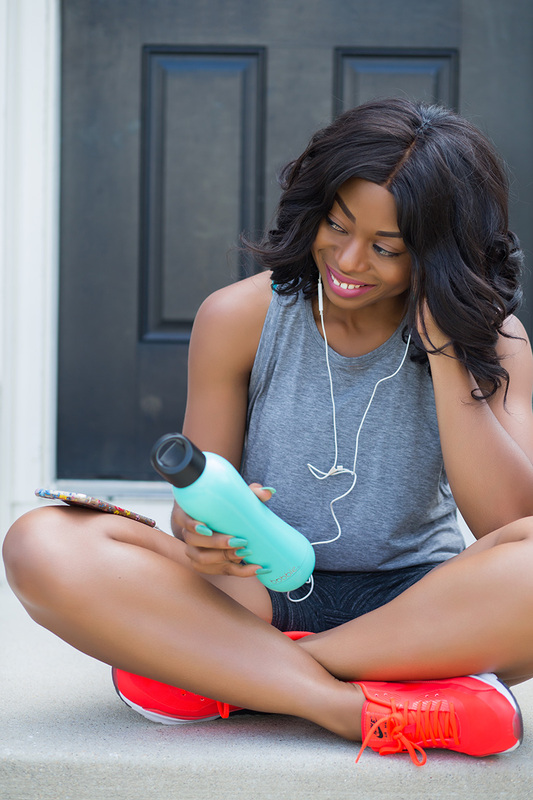 Bobble’s insulate stainless still bottle keeps water or beverages cold for 24 hours and hot for 12 hours. 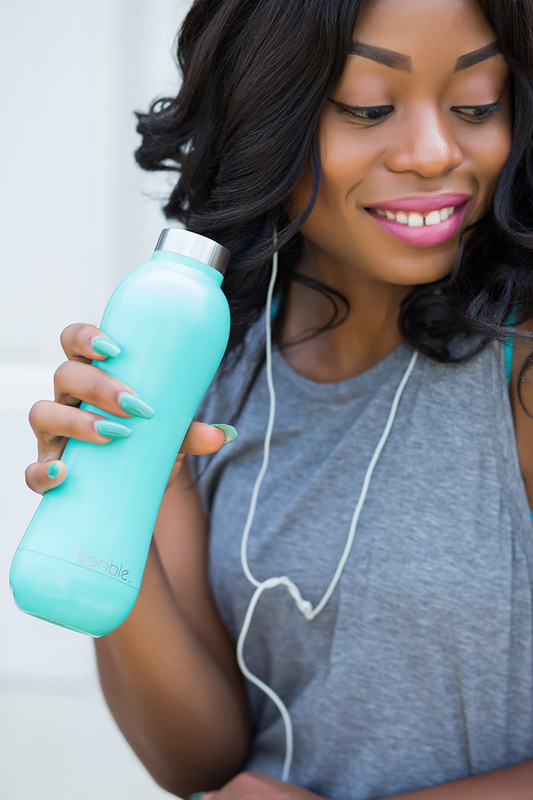 It is BPA free, safe for dishwasher and sweat free, which is great because you don't have to worry about the content of your purse or bag getting wet. 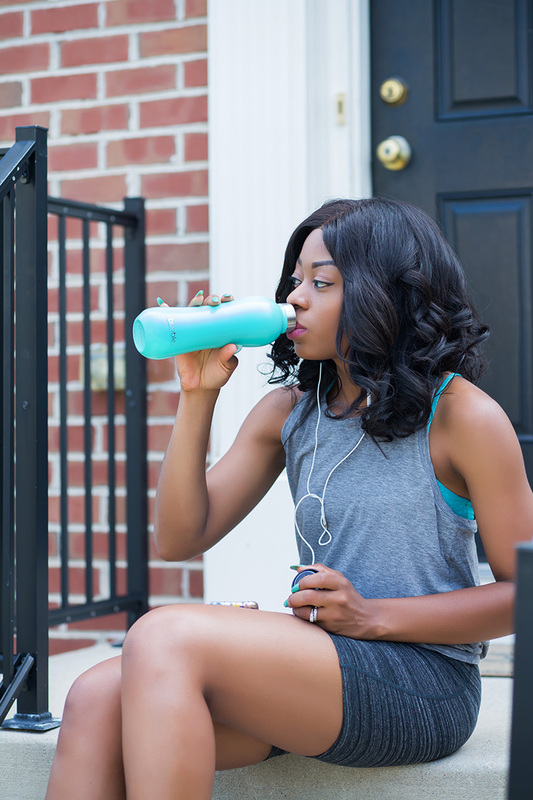 The Bobble insulate is a great gym accessory especially on hot summer days. You can get the bobble infuse or insulate from Nordstrom for $14 and $24 respectively. This post is in collaboration with Bobble. All opinions are mine. Thanks for the share, will have to try this! You are so fit. I am so inspired. I love the images and how you matched your bottle with your nails. So beautiful. Choi! Stella o! See bod! Yes, I agree that taking lots of water is very beneficial.